Questions and answers for "Shall I Compare Thee to a Summer's Day" which was written by William Shakespeare. William Shakespeare was a famous playwright and a poet of Elizabethan period. He was an active member of Theatre Company for at least 20 years. He continued to write plays at the rate of approximately ( लगभग ) two per year. He had written tragedies, comedies and historical plays. He wrote total of 154 sonnets. He offered his poetry as a means of immortality ( अमरता ) for both the youth and himself. His poems greatly dealt with the Renaissance ( पुनर्जागरण ) themes of friendship, love, death, change and immortality. 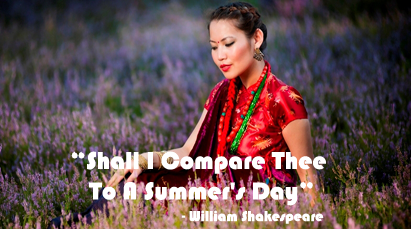 In "Shall I Compare thee to a Summer's Day", Shakespeare compares a lady with the beautiful summer day. He finds he beautiful and immortal like his own sonnet. Questions and answers of "Shall I Compare Thee to a Summer's Day". Answer: The question asked by the poet in the first line is a rhetorical question ( आलाङ्कारीक प्रश्न ) asked merely ( मात्र ) for the effect. The suggestion embedded in the question is that the poet compares his beloved with the sweet and pleasant day of summer. Answers: Seventh line of the poem states a general rule about the transient nature of beautiful things or beauty itself. He says that the beauty of beautiful things declines ( घट्छ ). The poet gives the examples of sun itself and the rose bud in the month of May. The poet says that his beloved will not succumb to this rule. She will not die because he has immortalized her in the lines of verse. In my view the poet has become more sentimental here. The lady will die one day physically and her beauty will be finished but her beauty will still remain in the lines of his poem. Answer: The ninth line begins with "but" because the poet shows the contrast between the "transient nature of beautiful things" and "external beauty of her beloved". Generally summer is supposed to be wholly desirable in England. It is lovely and temperate. But her beloved is more than that. The beautiful object fades out as a rule of nature and sometimes accidentally because their beauty is not captured in the lines of verses. But the summer of his beloved will never fade out because he has captured her beauty in the lines of poem. Answer: I think Shakespeare's conclusion in the couplet holds the truth because art can really immortalize people. As long as the art exists and people remain in the earth, they read it and remember her. The death may take her physically but she will be alive in the mind of readers who read the lines of verse. Answer: Immortality is the eternal life that does not follow the standards of mortality. Art can not preserve the physical beauty of the beautiful things but it can preserve the essence of beauty. In this sense art can immortalize people as Shakespeare says. Answer: The scientists think that the immortality in physical sense is impossible. It is the law of nature that the change is an inherent ( अन्तर्निहित ) quality of physical object and everything has a fixed life period. I think scientists have done nothing to immortalize people in its truest sense. No doubt they have discovered and invented many things to increase life span, to make us healthy and happy but actually they can't make us immortal. Health, happiness, wealth etc are the physical things and they will not last for ever. And the scientists here attempted just to preserve those transient things but all in vein ( तर व्यर्थमा ). 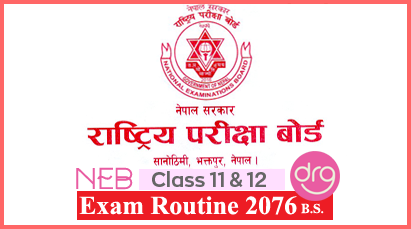 Class 12 Course "Shall I Compare Thee To A Summer's Day"
Question Answers Of "Shall I Compare Thee To A Summer's Day"
Important Question Answers Of "Shall I Compare Thee To A Summer's Day"
Solutions Of "Shall I Compare Thee To A Summer's Day"
0 Response to "Shall I Compare Thee To A Summers Day | Questions And Answers"